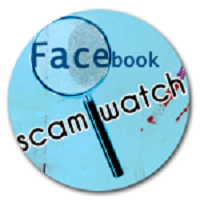 Every day, Facebook is swamped by fake content created by scammers around the world. The company has created Artificial Intelligence to deal with this problem, but even the most cutting-edge technology can’t keep up. And, according to security experts, these scammers are only becoming more sophisticated when it comes to concealing their identities. One way these bad actors have begun to cover their tracks is by borrowing existing content from around the web. This helps avoid triggering Facebook’s security measures. The junk news they’re sharing is using better quality images, for example, more believable domains, less-known websites, smaller blogs,” said Philip Howard, director of the Oxford Internet Institute. In other words, these cybercriminals are learning from their mistakes and adapting. And the more sophisticated they become, the easier it is for any one individual scammer to avoid detection. It’s disheartening, but there’s really no way for Facebook to fully rid itself of this problem. No matter what steps the company takes, these fakers will always work to stay a step ahead.